Since its opening in 1993, the Adventuredome has entertained adults and kids with its variety of rides, carnival and arcade games, laser tag, and bowling. Visitors can travel to one side of the Adventuredome to the other on its classic Canyon Blaster roller coaster as well as the newer El Loco roller coaster. Both traveling at breakneck speeds, riders should be prepared to take some twists and turns, including, but not limited to, riding upside-down. The Adventuredome is not afraid to turn guests’ worlds upside down with some of its premium rides. The Sling Shot shoots riders into the air while the Inverter flips them around, and Chaos is perfect for a spin or two. Midway Games is the Adventuredome’s featured carnival games where participants can win a variety of prizes. If on-screen action is the preferred way to go, the Adventuredome is filled with classic and new arcade games. 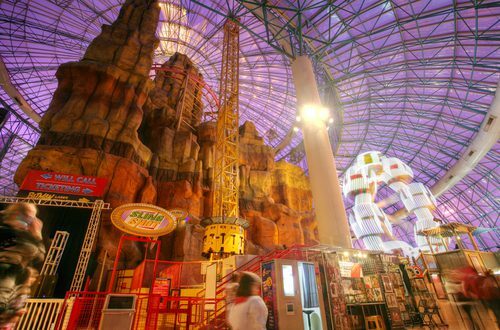 In the Xtreme Zone, players can get physical with indoor bungee jumping and rock climbing. 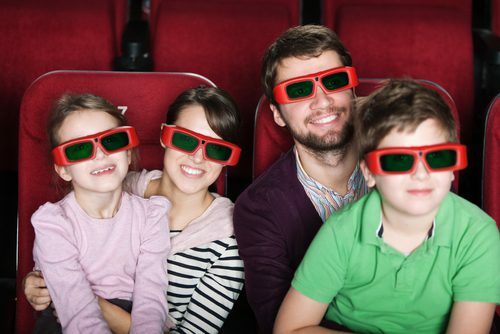 The 4-D FX Theatre makes sure to bring riders into the heart of the adventure with 3-D action in a 4-D environment. There is no such thing as a Circus without clowns, and Circus Circus’s clowns appear on stage in the Adventuredome daily at 12, 1, 3, and 4 p.m. as well as additional shows at 6, 7, 8, and 9 p.m. on Fridays and Saturdays. Other family attractions include rides such as Drifters, the Circus Carousel, the B.C. Bus, the Road Runner, and more. The Adventuredome offers package deals, discounts, and catering for parties and group events.